It’s time to address a question we’ve received almost daily the past 9 years: Why don’t you serve on the UB campus? Beginning this fall semester, we FINALLY have an answer for that! 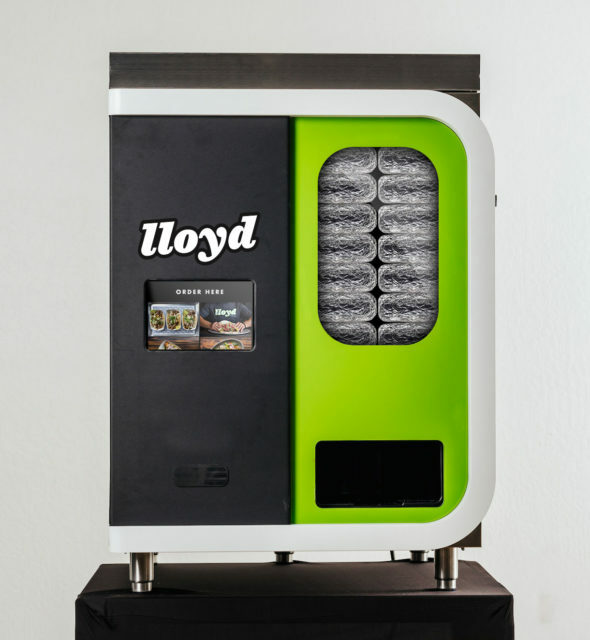 lloyd is joining the UB campus not by food truck, not by food stand in the dining hall, but by vending machines placed throughout the campus!! Ya know Sally the Salad Robot? It’s like that, but with burritos, so it’s 1,000x better. 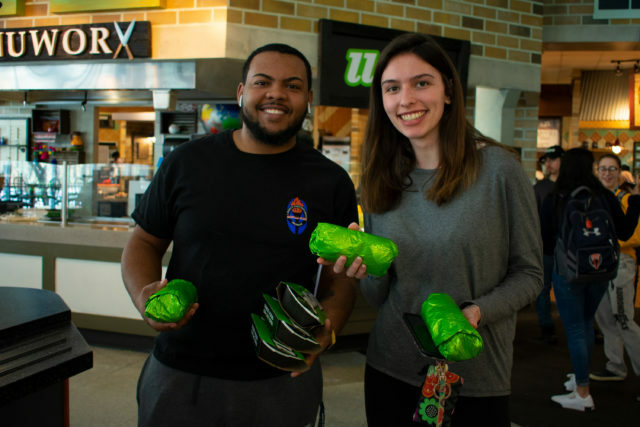 Using Campus Cash, Dining Dollars, FlexiBULL Bucks, debit/credit, or cold hard cash, you can customize your burrito however you see fit! Crema Mexicana, Pickled Reds, and yes, that sweet sweet guacamole will be available as add-ons! The only difference between these burritos & what you can get on our Trucks or in the Factories will be the person, well, machine, rolling it! “Food trucks, by nature, come with a novel of rules and regulations that have been formed over the years. It’s tough to break into new markets, and campuses for that matter, as the rules are unique to each location. That’s why burrito vending machines made the most sense for us,” commented Co-owner Pete Cimino on the new partnership. Once you have your ingredients selected, it takes roughly 23 seconds to roll & serve your burrito. Other machine features include: 30 ingredient canisters that can make 200 burritos before needing replenishing, touchscreen with card reader, and the ability watch your burrito throughout the entire process via the see-thru window. To start, we’ll have 2 on campus: one on the 1st floor of Capen Hall on the North Campus, the second near the main entrance of Goodyear on the South Campus. Click here for a comprehensive map!